Acer Extensa 2510-33S2 15.6" Business Laptop Intel Core i3-4005U 16GB RAM, 500GB. A laptop that offers the portability, productivity and efficiency users are looking for in a 15.6 inch package rich in proven technologies. With up to 5 hours of battery life, Precision Touchpad, better audio performance and powerful Core i3 processing, the Acer Extensa 15 delivers a fast & smooth user experience. 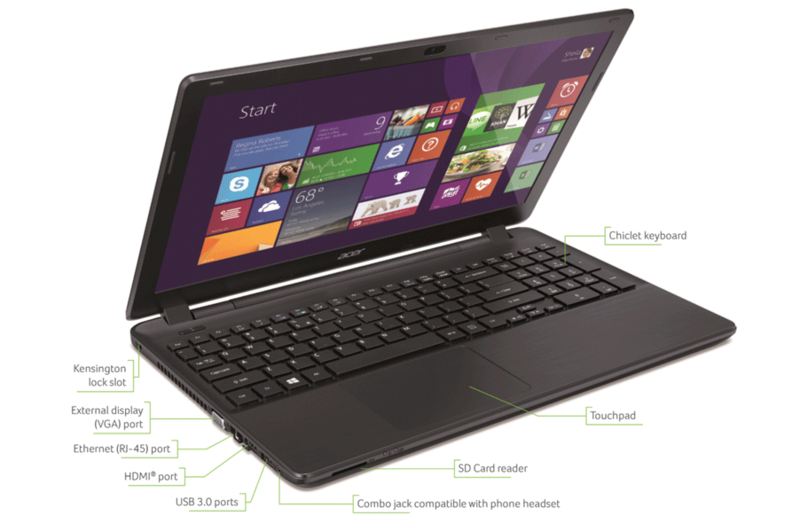 The Acer Extensa 15 combines excellent portability with sensational graphics capabilities. Thanks to the high-definition LED display and the advanced graphics solutions, this laptop delivers a great performance in graphics/video editing and processing. Moreover, users can use HDMI output and enjoy clear and crisp visuals on a large HD TV or external monitor. With one of the slimmest form factor in its class, the Extensa 15 combines a 15.6" display with an easy grip design and up to 5 hours of battery life, for comfortable and productive computing on the go. More freedom is provided by AcerCloud, which allows to synch and share your documents and multimedia across all devices, anytime and anywhere. The Precision Touchpad (PTP) enables a better navigation experience, with enhanced pinch to zoom and more efficient scrolling, plus it reduces involuntary taps and cursor motion by up to 94%. 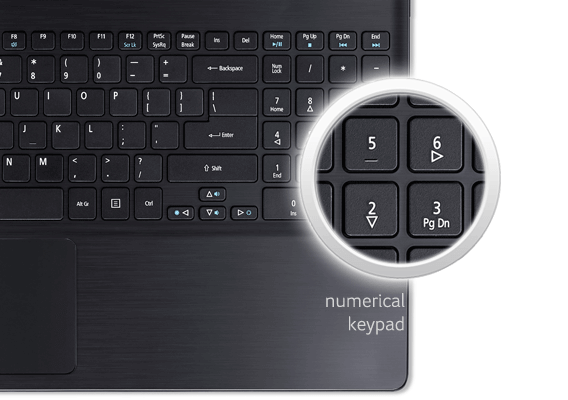 Outfitted with a numeric keypad, the Extensa 15 provides an extremely comfortable typing experience. The Extensa 2510 features a powerful Intel Core i3 processor delivering an ultra fast multimedia experience. It features a solid keyboard with numerical keypad; while the latest technology places heat-generating components away from the palm rest, ensuring a comfortable typing experience, even after prolonged periods of use. It is accompanied by a large multi-touch pad for smooth, intuitive fingertip control - the smooth surface also allows easy finger gliding and multi-touch gestures such as two-finger zooming. The built-in digital microphone and high quality speakers make for the best voice over IP (VoIP) communication possible, enabling crystal clear videochats with colleagues and clients. 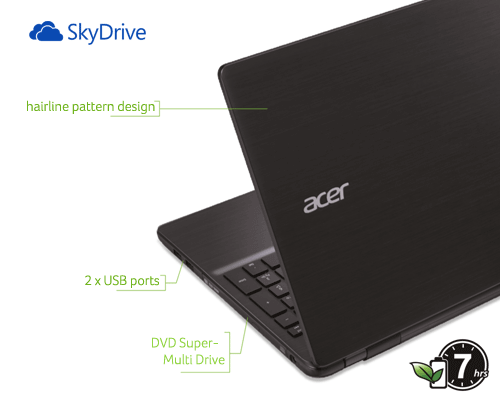 the Acer Extensa 15 is shipped with an M-DISC ready drive. The M-DISC is a new data storage solution, resistant to extreme conditions, that cannot be overwritten or erased. Once stored on an M-DISC users most precious data will last forever. Have the choice of booting to the familiar desktop or to your customized Start screen. Windows Defender and SmartScreen give you protection - right out of the box - against viruses, malware and malicious websites. Use built-in SkyDrive to store, backup and access your content from anywhere. Portability, reliability and efficiency: these are the three key characteristics of the Extensa 15. These features make this laptop the perfect partner for business. Thanks to its compact design and proven technology, it answers to everyday needs wherever the business takes you.